The Thorn Harbour Road Rally (Or, Macalley Takes The Wheel) – coming May 16! Start your engines! The second Peavley Manor novelette, “The Thorn Harbour Road Rally (Or, Macalley Takes The Wheel)”, will be coming Tuesday, May 16! Read on to find out how you can get a copy…for free! 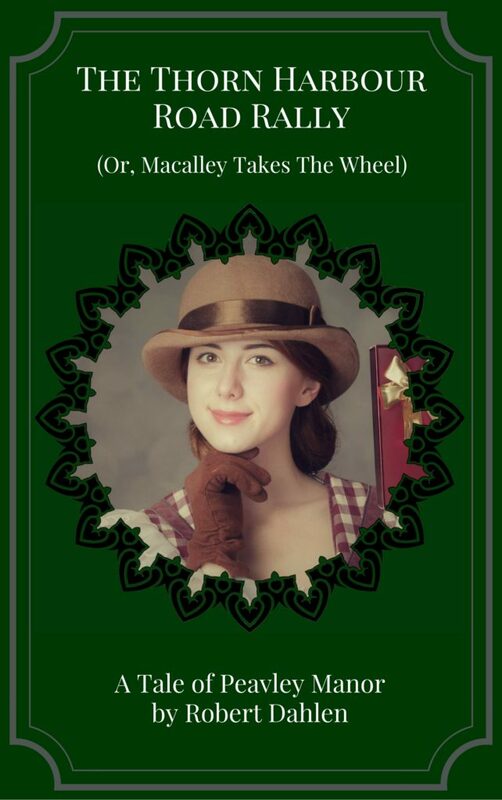 It’s Race Day in the town of Darbyfield, and after an accident, heiress Alice Peavley and her gnome valet Macalley jump into the race behind the wheel of a friend’s motorcar. They’ll have to go up against five other racers and confront dangerous roads, dirty tricks, and a hungry bear. It’ll take all of Macalley’s brainpower, and all of Alice’s wits and determination, for them to win the Thorn Harbour Road Rally! Click here to sign up for the mailing list, make sure your goggles are properly strapped on, and I’ll talk to you on Sunday!